Roses and Chanel in the air? 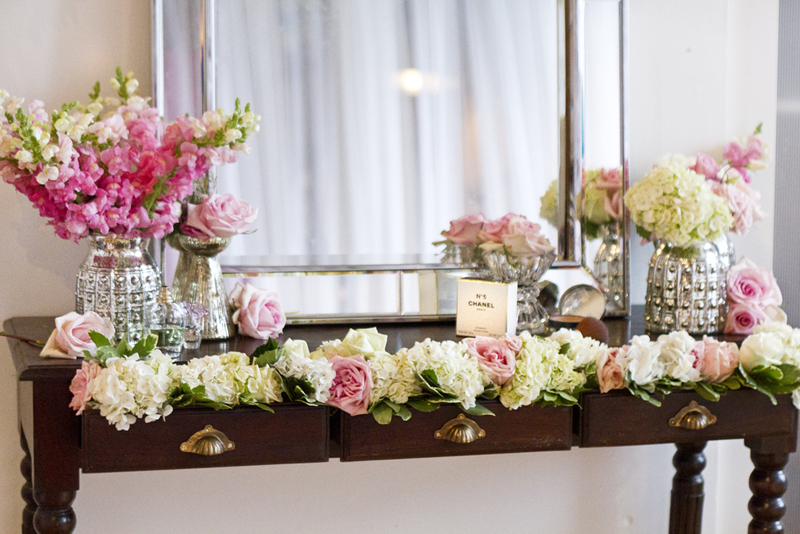 On the most magical of days, a bride deserves the ambiance of a vanity almost as pretty at she. 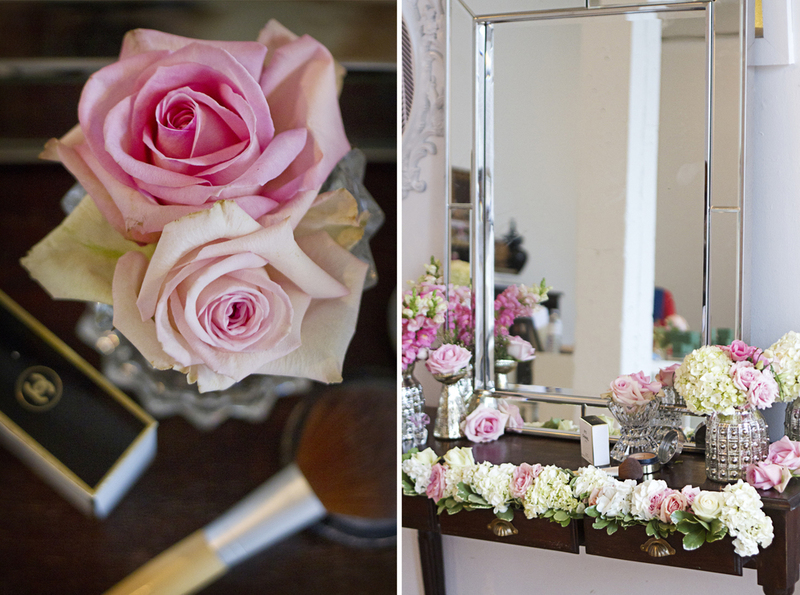 Check out our lovely bridal vanity dressed in blush pinks, soft greens and white!